What’s the first thing you do when you board a cruise ship? 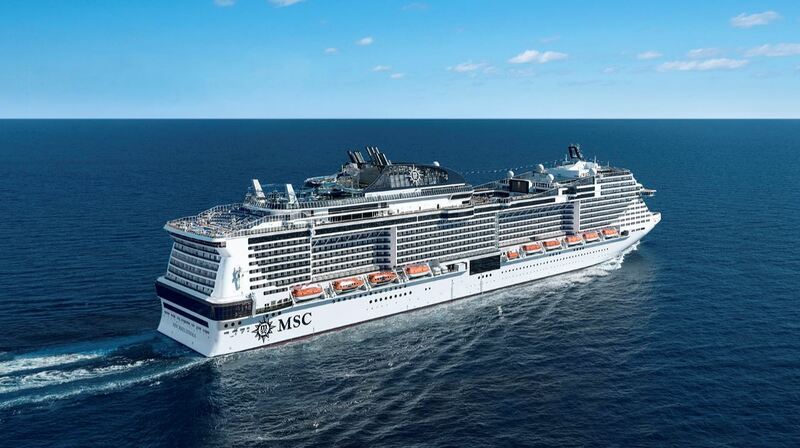 While most people check out the buffet restaurant or one of the bars, guests boarding MSC Bellissima will probably head straight to their stateroom. 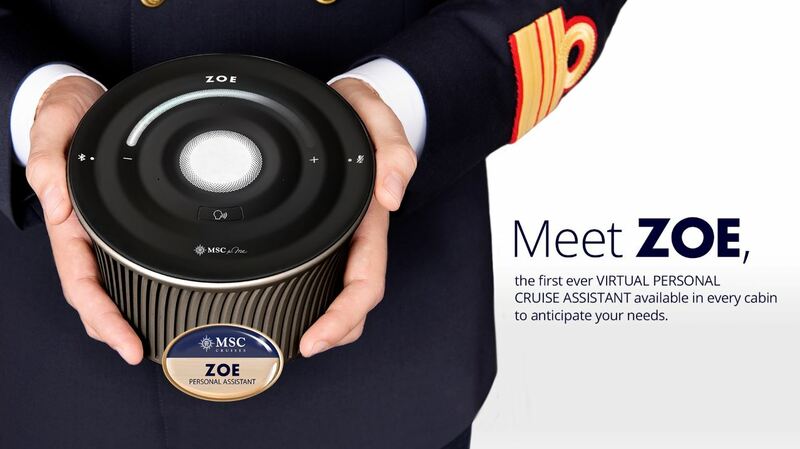 After all, who wouldn’t want to meet ZOE, the world’s first virtual personal cruise assistant. ZOE is poised to take MSC Cruises’ Guest Services to an exciting new level with guest-centric technology that will further enrich the cruise holiday. Developed in partnership with HARMAN and Samsung Electronics, ZOE is a voice-enabled artificial intelligence (AI) found in every cabin that can speak seven languages. Able to answer hundreds of questions about the cruise, she can provide information about onboard services, provide guidance and suggestions or help to book a service. An easy to use device – just say, “OK ZOE”, and she’s ready to help. The advanced voice recognition feature makes it easy for everyone to control and access information using only voice commands. ZOE’s physical design features advanced audio with far field microphones and a professional quality speaker to provide the best audio experience. 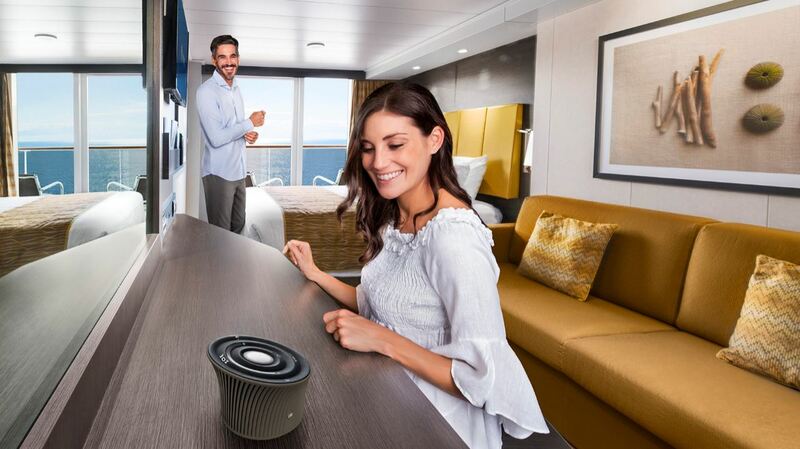 ZOE will respond within seconds thanks to the integration of a top-of-the-range quad-core processor and offer the opportunity to connect your smartphone through Bluetooth so you can enjoy music, podcasts and more directly in your cabin. In the future ZOE will be able to offer further personalisation and embedded experiences and will also become a cross-channel personal assistant that will take on new forms within MSC for Me. ZOE has been designed to enrich the MSC for Me ecosystem and as such interacts with the in-cabin TV. Long-term innovation partner Samsung Electronics, designed the Hotel Management System software that allows the personal assistant to connect with the TV to provide further in-depth information and other guest services.